These French Oak Barrels are from our 2007 inventory of barrels. They have been used to Age Wine at our winery. These barrels are fresh dumped and cleaned. These barrels are ideal for long term wine storage. 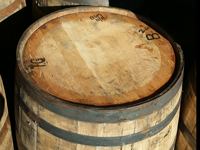 These reconditioned barrels are JUST LIKE NEW. They are lightly toasted and ready to use for wine. All hoops, top and bottom have are brand new. Excellent Barrel! These French Oak Barrels are from our 2008 inventory of barrels. They have been used to Age Wine at our winery. These barrels are fresh dumped and cleaned. These barrels are ideal for long term wine storage. These French Oak Barrels are from our 2010 inventory of barrels. They have been used to Age Wine at our winery. These barrels are fresh dumped and cleaned. These barrels are ideal for long term wine storage.